For whatever reason, self-published books have not yet gained the respect of similar efforts in the music and film industries. Perhaps it’s due to the confusion between self-publishing and the vanity press. Perhaps it is the ingrained judgement that such writers must have been rejected by the big publishers for a good reason. Possibly it’s just that “self-published” seems to be the term of choice instead of “indie lit” or something else that promotes the notion of a hip new underground. 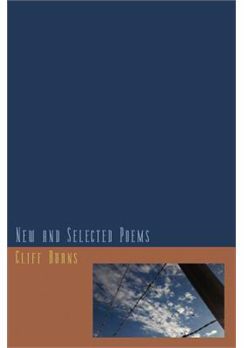 Excellent literature is not only to be found on the main thoroughfares and reading Canadian Cliff Burns’ New and Selected Poems has newly verified that belief. The poems in this slim collection (little more than a hundred pages, with one poem per page) are almost universally somber in outlook, harsh and laconic, each word clearly selected with the greatest care and with an intensity of expression that can be overwhelming, almost as a physical sense of disturbance. They offer a punch in the gut and then they’ll cast a shadow over your day as you re-read and contemplate them. You’ll either find this appealing or you won’t. 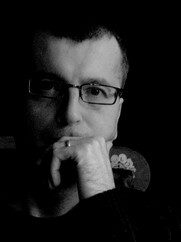 Poetry is a personal thing and I lean towards the darker set, whether expressed in “Childe Roland to the Dark Tower Came” or the war verse of Siegfried Sassoon. machine civilization crouches, poised to leap. At first glance I would have said this bears the mark of ironic detachment. No way. If that were the case it wouldn’t be so effective. Burns would seem to have taken the world to heart and spat back out some of the fragments he’s collected. It isn’t all devoted to the abyss either – the Lon Chaneys and Neil Armstrong are offered surprisingly moving tributes in the midst of it all. Love poems? There are several, mostly in the “New” section, all evincing a sense of wonder and humility at the existence of life on earth. Therefore some are dedicated to his wife, some embrace the idea of God and one hoodwinks you with the title “Higher Physics” before sketching out the ideal of the soulmate in just twelve words. So the guy does lighten up and the result is beautiful. Any complaints? The main one is that the book lacks an index of any sort – true, it’s very short but it still leaves me with 100 pages to flip through looking for individual items and that strikes the only unprofessional note. Otherwise, the collection is pretty well immaculate and worth mulling over. The nature poems included are my particular favorites – evocations that well capture the magnificence and tension of life in a Northern climate. And since the poem “Reaper” was instrumental in my purchase of this little book, I will end this review quoting it in its entirety. this is the graveyard of autumn. looming like a storm front. the sun creeping back to make way. For further information on the author, the book and where to get it, go check out the author’s blog Beautiful Desolation.